Toby’s life was perfectly normal… until it was unravelled by something as simple as a blood test. What happens when kids and teens are thrown together in a situation, under minimal supervision, knowing they’ve not got long to live? This is, basically, what The Death House is about. The kids are “defectives”, guaranteed to get sick and be disappeared in the night, whisked away to the sanatorium never to return. This novel gives us a brief glimpse into the lives and minds of the doomed teens. It’s a moving, brilliantly written book. In some ways, this is a novel not so much about whatever disaster/plague has ravaged the world (it’s never explicitly explained or even referred to). The Death House is also a look at how we are as kids, and especially teenagers. You could see the Death House as a boarding school or college: the characters form alliances and mini-factions (by dorm, in this case — just as can happen at school), and there’s plenty of posturing and jockeying for position between the dorm ‘captains’. As events progress, we see which characters are more complex than they present themselves (hint: pretty much all of them). Each of the characters is interesting, and while we don’t get to know them all as well as we might like, they are interesting and add to the overall story in varied ways. Whether it’s Toby’s adjustment to Clara’s appearance and invasion of his nightly solitude, or how friends deal with the loss of others (including religion, for some of them), Pinborough presents all of these emotions carefully. The pace is quick but not hurried, and the author’s prose style is a pleasure to read. Our narrator slowly falls in love with a new arrival who upends his nighttime solitude — he’s the only one, it seems, who doesn’t take the “vitamins” at night (sleeping pills). Their relationship is hesitant, exciting and new territory for them both. Pinborough does a lovely job of writing it: it’s not Hollywood-esque, and it felt real and familiar (as I’m sure it will to everyone save those who were unreasonably confident in their teens…). There’s some light humour, and good portrayals of these teens’ experiences. The tragic ending was slightly predictable, although upon whom the tragedy fell could have gone either way, forcing me to switch my prediction a couple of times. Given its slim length, it’s difficult to offer much detail in the story. Nevertheless, I really enjoyed it. The end of Chapter 18 was a real gut-punch (more so than the ending, actually), and written beautifully. The Fault in Our Stars for the dystopian fan? Quite possibly, despite that being a rather simplistic and inelegant comparison — it’s the only way I could come up with a comparison. I think the only thing that would have made the novel better is if it had been longer, as it would have allowed us to get to know the characters a bit better. And, maybe, to know a little bit more about the world in which it was set — although, that’s probably just because I like that sort of detail, and the lack of extra detail by no means spoiled the novel. Brilliantly written and moving, this is definitely recommended. Pinborough just gets better and better. I think this is going to be very popular. 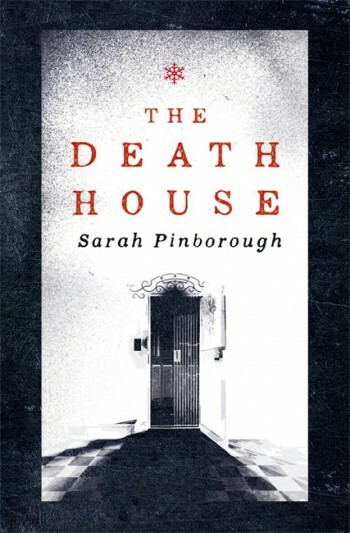 The Death House will be published in the UK by Gollancz, on February 26th, 2015.